Practical Guides for Librarians series from Rowman & Littlefield Publishers. Vera Gubnitskaia, co-editor, Library Partnerships with Writers and Poets (McFarland, 2017); public, academic librarian, indexer. Carol Smallwood, co-editor. Library’s Role in Supporting Financial Literacy for Patrons (Rowman& Littlefield, 2016); public library administrator, special, school librarian. One or two chapters (3,000-5,000 words) sought from U.S. practicing academic, public, school, special librarians, LIS faculty, library administrators, and board members. Successful proposals will address creative, practical, how-to chapters and case studies depicting a variety of specific programs, projects, aspects, and angles of the library role and impact on homeschooling process, families, and students, within the library walls and beyond. We are also looking for ideas (whether implemented or not) that can serve as a basis, a foundation, to incorporate into an MLIS course; a Human Resources’ or an organizational plan, as well as a kick-start to personal career goals planning. A tentative Table of Contents can be provided per request. No previously published, simultaneously submitted material. One, two, or three authors per chapter. Compensation: one complimentary copy per 3,000-5,000 word chapter accepted no matter how many co-authors or if one or two chapters by the same author(s); author discount. Contributors are expected to sign a release form in order to be published. Marketing Libraries Journal (MLJ) is a peer-reviewed, independently published, open-access scholarly journal that focuses on innovative marketing activities that libraries are engaged in. Our aim is to publish research and practical examples of library marketing campaigns, library marketing research, public relations campaigns, SWOT analysis, segmentation research, assessment of marketing activities, and tools used for marketing activities. In addition to peer reviewed articles, the Journal also contains practical articles from different columns. Columnists will be accepting shorter articles on advocacy, branding, library marketing campaigns, “from the trenches”, and technology tools. The Journal is published twice a year. 1. Articles (double blind peer reviewed) (20-25 pages): research-driven articles that aim to provide original scholarship in the field of library marketing, communications, and outreach. 2. Practical Articles (peer reviewed) (8-10 pages) : articles from different columns (advocacy, branding, “from the trenches”, campaigns, and technology). Practical articles provide best practices, however they should be written in an unbiased, academic tone. (in 3rd person). Please ensure that your manuscript has not been previously published and is not currently under consideration for publication elsewhere. Review of manuscripts will begin after the call for papers deadline. When a manuscript has been accepted for publication, authors will be required to submit a complete electronic copy of the final version. The Journal is open access “gold” and “green”. There are no author processing fees. Authors are never charged any article submission or processing fees. Both readers and authors can access articles for free. Authors can self archive their articles at the time of publication. Authors can self archive in digital repositories or on their own personal websites at publication. Please ensure to indicate the URL of the journal when self archiving. Authors retain copyright and full publishing rights. Articles are published under a CC-BY-NC-SA license. Marketing Libraries Journal is indexed in the International ISSN database, World Cat, Ulrich’s Serials Directory, and the Directory of Open Access Journals (DOAJ). Share your technology knowledge with a LITA Education proposal! The Library Information Technology Association (LITA) invites you to share your expertise with a national audience! to teach a webinar, webinar series, or online course for Spring 2019. We seek and encourage submissions from underrepresented groups, such as women, people of color, the LGBTQ+ community, and people with disabilities. Instructors receive a $500 honorarium for an online course or $150 for a webinar, split among instructors. View our list of current and past course offerings to see what topics have been covered recently. We will contact you no later than 30 days after your submission to provide feedback. We’re looking forward to a slate of compelling and useful online education programs for 2019! Harrisburg University is pleased to announce that the 2nd annual GeoDev Summit will be held at Harrisburg University on Monday March 4th, 2019. The Call for Presenters is officially open! With over 100 registered attendees last year the event exceeded our expectations and our follow-up survey results were overwhelmingly positive. The value of this summit is provided entirely by our presenters and sponsors and we had excellent content and support last March! Remember this summit is technical in nature so presenters are asked to focus on detailed GIS Development topics that allow attendees to watch in depth demonstrations of GIS development solutions and ideally provide hands-on opportunities. Presenters are asked to submit an abstract and list the technology used so that attendees can be prepared to participate in the sessions. Presenters can choose from a 40 minute (demonstration) or 90 minute (hands-on) session. A reception will immediately follow the closing sessions so that attendees can have additional time to network. The Journal of Interactive Technology and Pedagogy (JITP) seeks scholarly work that explores the intersection of technology with teaching, learning, and research. We are interested in contributions that take advantage of the affordances of digital platforms in creative ways. We invite both textual and multimedia submissions employing interdisciplinary and creative approaches in the humanities, sciences, and social sciences. Besides scholarly papers, the submissions can consist of audio or visual presentations and interviews, dialogues, or conversations; creative/artistic works; manifestos; or other scholarly materials, including work that addresses the labor and care considerations of academic technology projects. All work appearing in the Issues section of JITP is reviewed by the issue editors and independently by two scholars in the field, who provide formative feedback to the author(s) during the review process. We practice signed, as opposed to blind, peer review. We intend that the journal itself—both in our process and in our digital product—serve as an opportunity to reveal, reflect on, and revise academic publication and classroom practices. Additionally, all submissions will be considered for our “Behind the Seams” feature, in which we publish dynamic representations of the revision and editorial processes, including reflections from the authorial and editorial participants. Research-based submissions should include discussions of approach, method, and analysis. When possible, research data should be made publicly available and accessible via the Web and/or other digital mechanisms, a process that JITP can and will support as necessary. Successes and interesting failures are equally welcome. Submissions that focus on pedagogy should balance theoretical frameworks with practical considerations of how new technologies play out in both formal and informal educational settings. Discipline-specific submissions should be written for non-specialists. Submission deadline for full manuscripts is November 15, 2018. Please view our submission guidelines for information about submitting to the Journal. CCLI 2019 invites practice and research-based approaches on the inventive, intersecting, and radical ways your instruction has redefined/reimagined student success. In particular, CCLI welcomes proposals that highlight participatory learning, critical information literacy and pedagogy, and approaches that put students at the center of their learning. 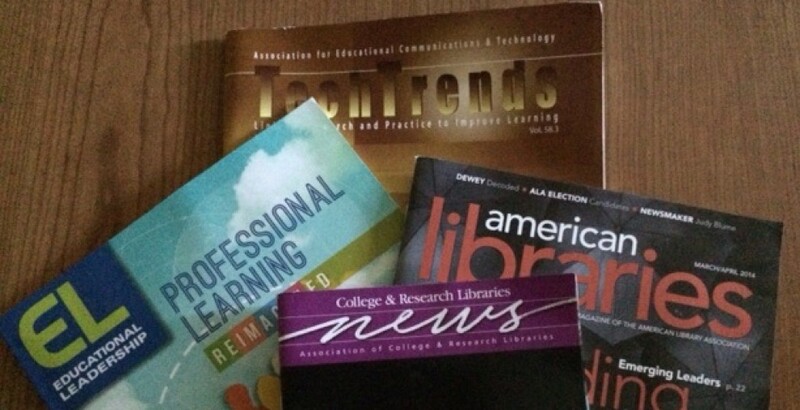 Evolving pedagogy and an increased emphasis on assessment have driven librarians to reconfigure their approaches to student success: participation in campus-wide initiatives; rethinking student learning outcomes and assessment; encouraging experimentation and learning that empowers students to take the lead in their own success. We invite you to submit a proposal in the form of a 60-minute presentation or panel discussion, a 75-minute active learning workshop, or a 5-7 minute lightning talk. We recommend that prospective presenters review our evaluation rubric for presentations and workshops at: https://goo.gl/wQHEV9. Proposals should relate to the conference theme, clearly outline the session, and be timely and applicable to librarians. For presentations and workshops, please also include 2-3 learning outcomes, as well as detail on how you plan to incorporate active learning into your session. · What methods do you use to place students at the center of their learning? · How has the goal of inclusivity altered your teaching practice? · What markers of student success do you consider before undertaking a change in your instruction? · What approaches have you taken that have helped to shift your campus’s thinking about student success in information literacy? Please submit your CCLI 2019 proposal at: https://goo.gl/MzLYPY .The deadline for submissions is Monday, October 22. CCLI 2019 will be held at the University of San Francisco on Friday, May 3, 2019. We appreciate your consideration and look forward to hearing from you! For questions, contact Quincy McCrary (qmccrary@gmail.com) or Irene Korber (ikorber@csuchico.edu). New technologies, collaborations, and ways of working have transformed metadata workflows. Have you implemented new tools to streamline your workflows? Are you experimenting with automated approaches to metadata creation? If so, we want to hear from you! Consider submitting your proposal for a 15 minute presentation at the ALCTS Metadata Interest Group session, followed by discussion. If you have any questions, feel free to contact Anne Washington (awashington@uh.edu) or Mingyan Li (mli5@uic.edu), ALCTS MIG Programming Co-Chairs. Please fill out the submission form with your proposal abstract by Friday, November 16, 2018. The Metadata Interest Group meeting will take place during the 2019 ALA Midwinter Conference in Seattle, WA on Sunday, January 27, 2019 8:30-10:00 am.